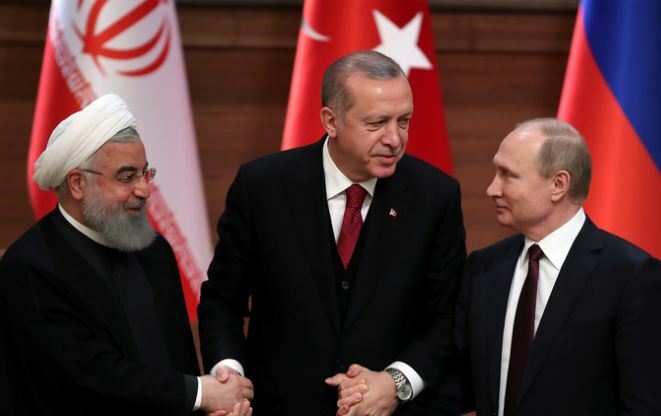 (Geneva) – The United Nations chaired informal consultations with senior representatives of Iran, Russia and Turkey, during the Astana-format meeting in Sochi, Russian Federation. In a statement issued in Geneva by the office of the UN Special Envoy for Syria de Mistura, said that they discussed consultations focused on realising further progress on the implementation of the Sochi Final Statement and the establishment of a Syrian-led and Syrian-owned constitutional committee, facilitated by the UN, within the framework of the Geneva process and in accordance with Security Council resolution 2254 (2015). The meeting saw useful exchanges on the composition of the constitutional committee, in line with the criteria outlined in Resolution No. 2254 and the Sochi Final Statement, as well as a range of other issues related to the establishment and functioning of a constitutional committee.